Seasoned Pork burger with Sage, Parsley & Black Pepper. 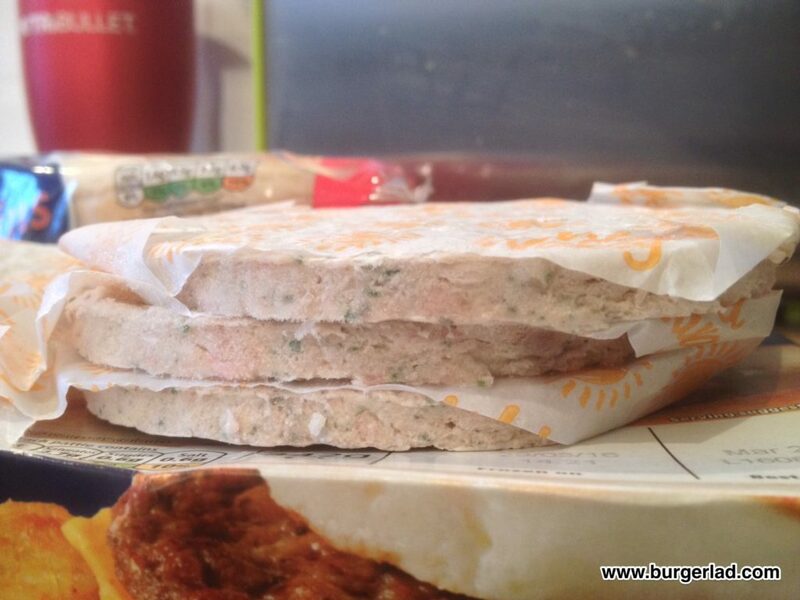 Price: £2.00 for 6 patties. Calories: 105 kcal per grilled patty. 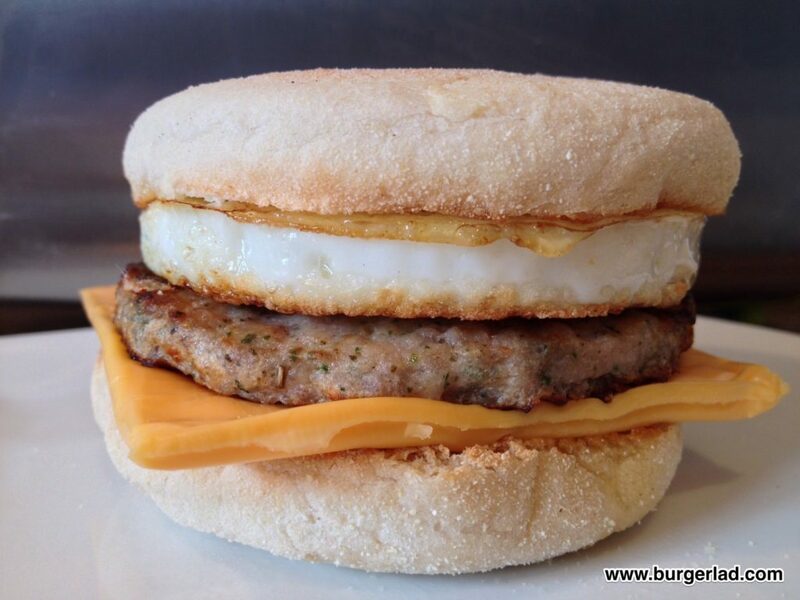 Believe it or not I only had my first McDonald’s Sausage & Egg McMuffin about three years ago. Why had I never had one? 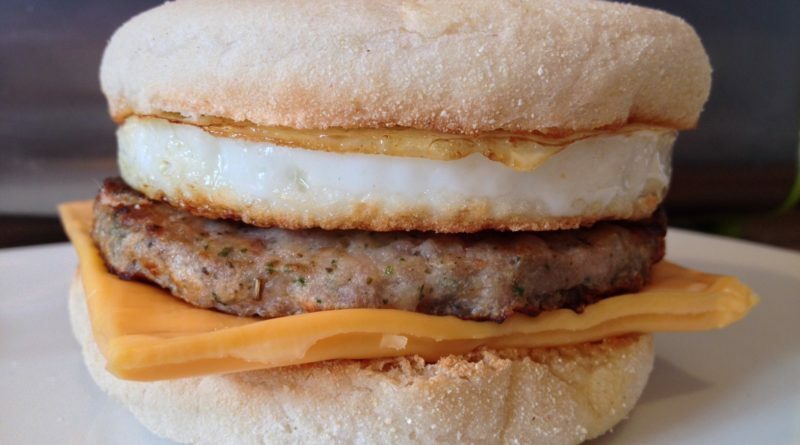 And you can’t really write a review about the new-ish Tesco Sausage Patties without mentioning the hugely popular breakfast offering from the Golden Arches. To give them their full name, Tesco recently (late 2015?) 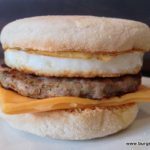 released 6 Pork & Herb Breakfast Patties – I remember one of the supermarket guys I follow sharing a picture on Twitter and I vowed to keep a look out for them. 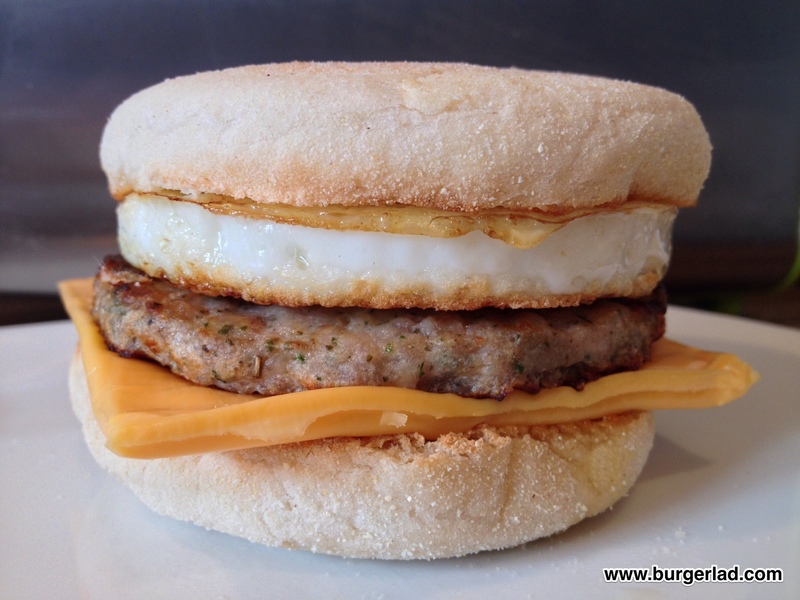 Now I’ve very much cracked my own copycat McMuffin recipe. Followers on Instagram, Facebook and Twitter will back me up as they will have seen pictures (usually taken on a Saturday or Sunday) of my replication. And without being too big-headed, they are pretty damn fine. But these require pork mince, food processors, getting your hands messy etc. Now you can pop to your local Tesco and get in on the breakfast action (if they have them – my nearest store literally got them in the other day. Or it was the other day I actually went down the freezer section and looked). 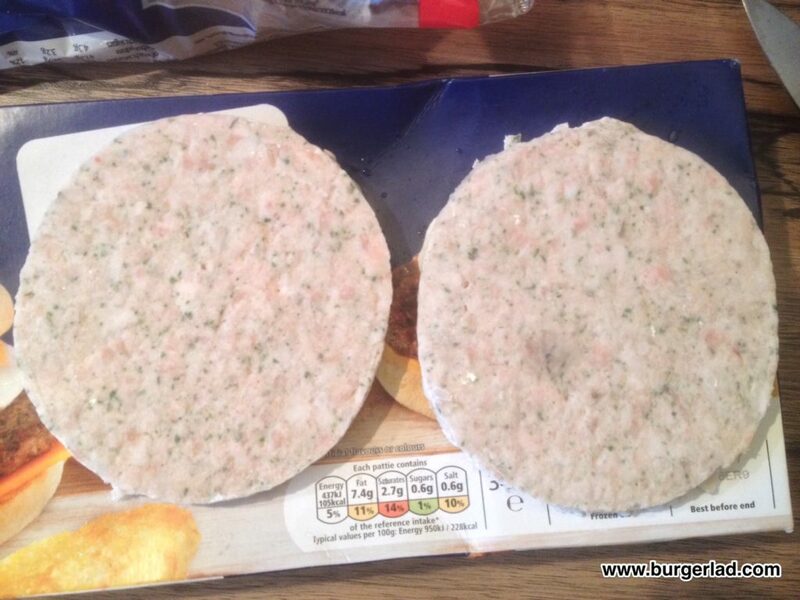 Anyway… £2 will get you six of these frozen seasoned pork patties and I must say they are really rather good at what they are trying to emulate. 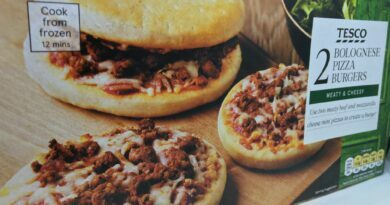 OK you still have to add your own muffin, egg and cheese slice to replicate the McMuffin with these but what do you expect? A Hunger Breaks All Day Breakfast can-type product where you just shove it all in the microwave (there’s a product idea for you Rustlers) and 90 seconds later “ping” and you’re in. 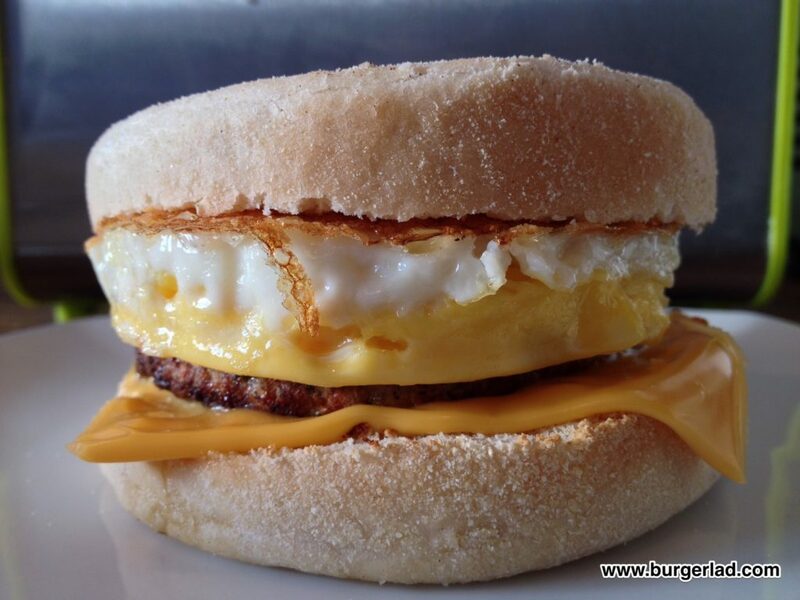 To replicate the Sausage & Egg McMuffin I use an egg ring for shaping the egg (Amazon do them ), a Kingsmill Muffin (toasted), one slice of processed cheese and one large egg. Oh and melted butter – you need to do a “no-entry” sign of melted butter on the crown to give it that authentic McDonald’s copycat taste. The patty itself doesn’t look the most appealing product in the world and with 2.7g of saturated fat (14% of your daily recommended allowance) you’ll soon become a fatty if eating a daily patty. They’re quite white in appearance but have significant flecks of green from the herbs running through them. Oh and a word of warning. It’s fairly difficult separating them so air with caution when trying to dislodge them from each other. These are separated via some form of burger wrap style paper but I had to use a knife to get them apart (be ultra-careful). Grill time is around 8 minutes and I haven’t shallow fried them as yet, but they do come out very respectable. It’s never going to be identical to McDonald’s but it’s quite similar. You get that “herby” taste from the sage but the recipe could do with a little more black pepper in it. As a product it is cheap, convenient and very good to have in your freezer for those weekends you don’t get to McDonald’s before that dreaded 10:30am time. Now you can have all day breakfast in the comfort of your own home. And with relative few cooking utensils required – whatever you do invest in an egg ring! For true authenticity, wrap the completed build in foil and put back in the (warm) oven for a bit to melt the cheese or (whatever you do minus the foil) pop it in the microwave – this can result in semi-soggy muffin though so have a play and see what suits you. We’ve already had two each here at BLHQ (I only got them yesterday!) and if you really want to feel like you’re having McDonald’s breakfast at home, get a coffee and/or orange juice and hash brown with it. OK it’s never going to be identical to your favourite at McD’s but it’s pretty damn close! 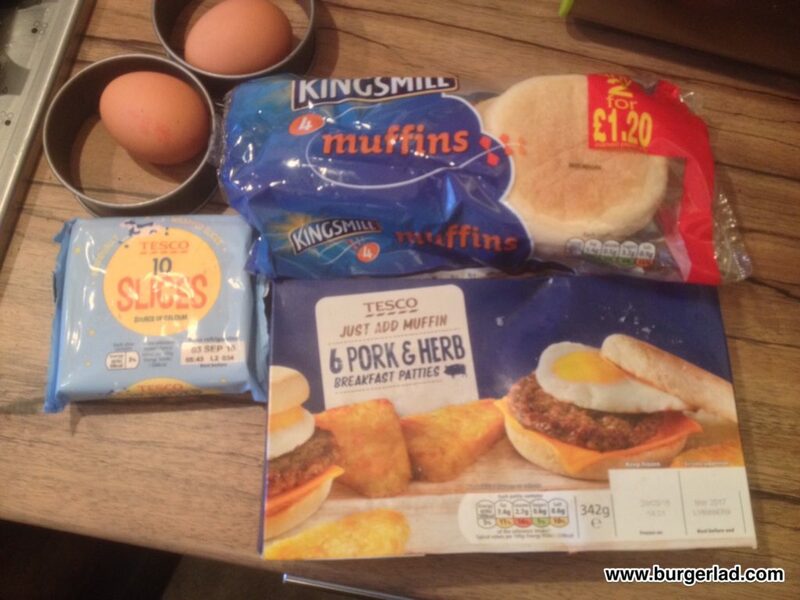 Tesco Sausage Patties – or Tesco Pork & Herb Breakfast Patties certainly get the thumbs up from us! Please note this review is strictly approaching the product from the point of view of replicating a Sausage & Egg McMuffin. For more information check the Tesco (there’s only one “s”) website. Let us know your thoughts and comments via the usual channels. I tried them today too. Minus the cheese as lactose intolerant. Was very very nice. If I need a “McMuffin” after 1030am then I will be quite happy of this fix. I used the same muffins as the reviewer used. I get these all the time, perfect to have in the freezer for post night of drinking brekko. I always fry them, hardly any oil is needed, but do weight them down to get the even sear. I use my Mk1 homemade egg rings (tuna cans opened at both ends), wrap in kitchen towel and nuke for 20 seconds, the pre grilled muffins stand up pretty good.